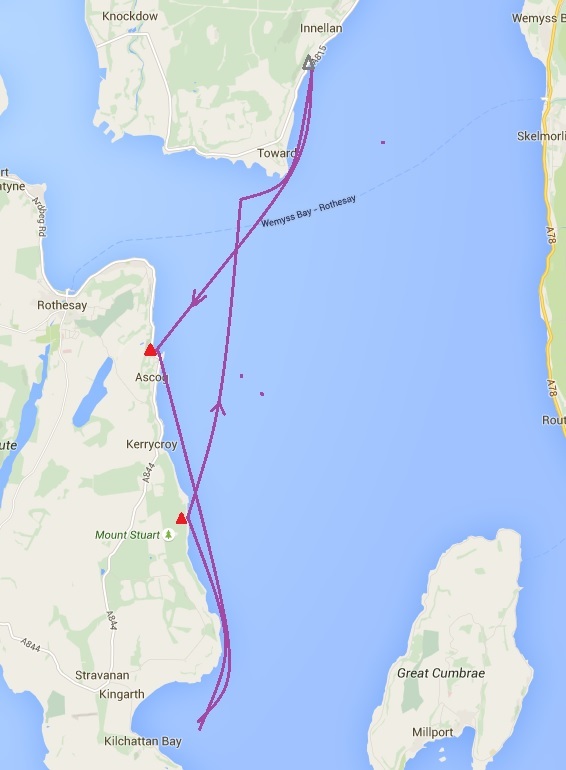 Route: Inellan, Toward, Askog, Mt Stewart, Kilchattan Bay and vv. 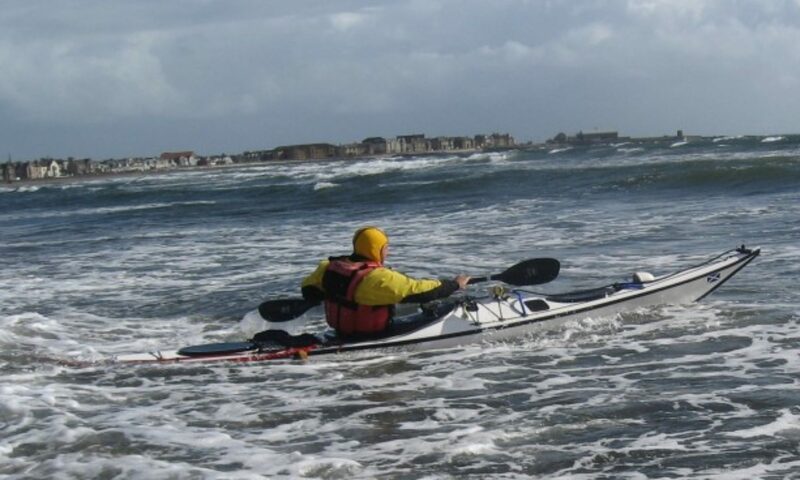 Report: The “normal” route for paddling around Bute is either Largs, Great Cumbrae, Bute or Colintraive for the west coast. With traffic, however, it is quicker, and certainly pleasanter to go via Dunoon than via Largs. We parked at what appeared to be an ideal spot just south of Inellan with easy access to the water and toilets. As will become clear, in reality it is NOT a good spot. We got away around 10.30 and headed south into the breeze, with a first point of call being the hamlet of Askog. The coast on this section of Bute has a selection of large, impressive villas culminating in Mount Stewart (which cannot be seen from the water). Askog is a lovely place with beach and views to match. 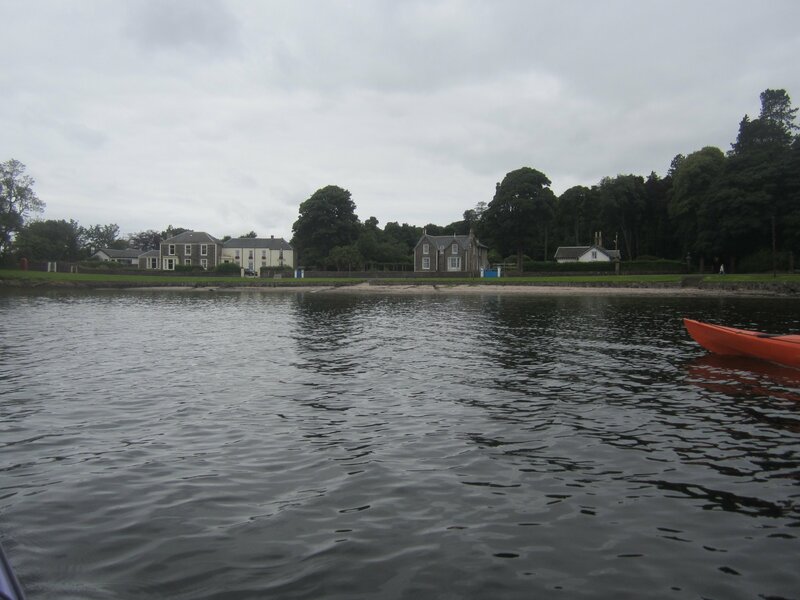 After a break we continued south towards our target, Kilchattan Bay. 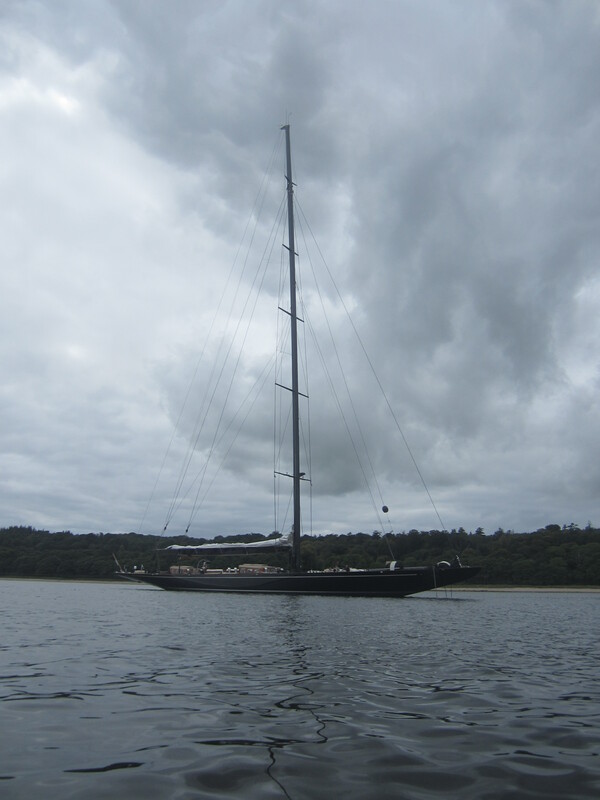 Of particular note was a yacht, which because of the mast height, we initially mistook for a radio mast. This gigantic yacht is described thus: When delivered she’ll be the largest J-Class superyacht in existence, with 17m overhangs on an LOA of 43.4m. ABS classed and MCA compliant, she will be able to accommodate eight guests in four cabins.Lionheart is currently for sale as a joint central agency with Will Bishop at Yachting Partners International and Hoek Brokerage, asking €14.9 million. 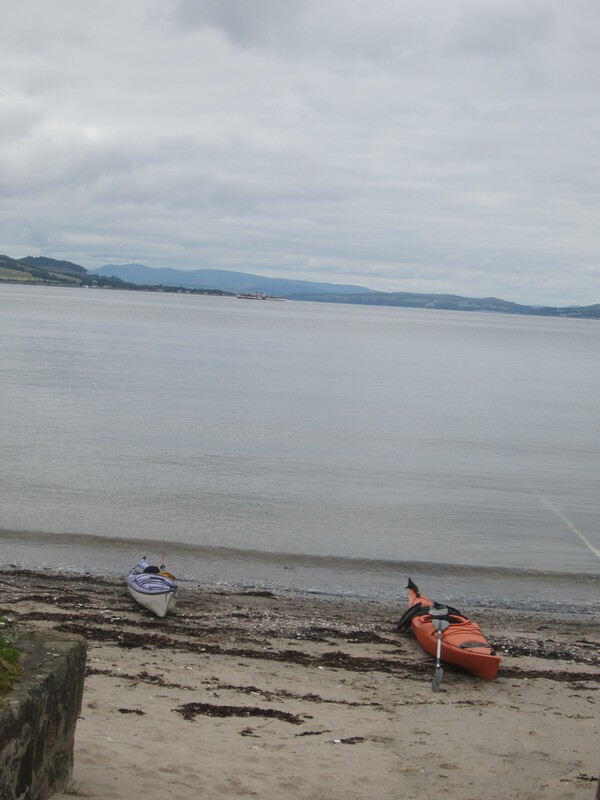 Although moving quite quickly we had no time at Kilchattan Bay before turning for home. After our second break on the lovely sandy beach beneath Mt Stewart, we headed on north towards Toward Castle. 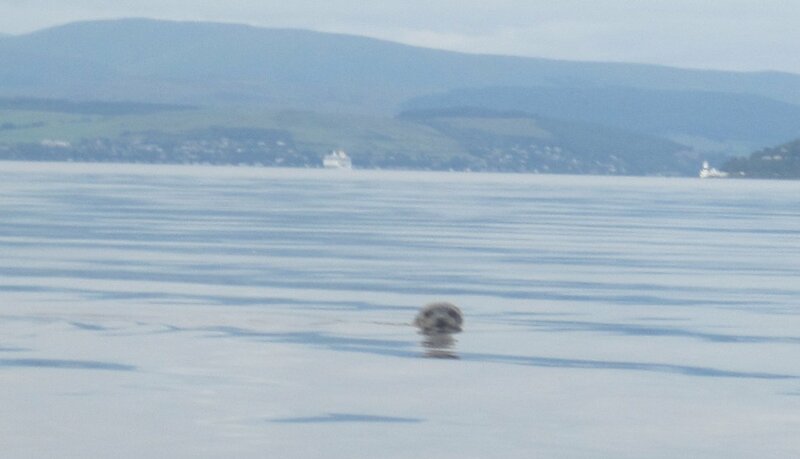 We were entertained en route by seals and 2 dolphins whilst dodging the ferries that criss-cross between Wemyss Bay and Rothesay, one each way per hour. Upon arrival back at approx 5pm we found that our “ideal”car park was anything but, being at the end of a triangle of rocks reaching out around 500m. This made any landing a matter of a very long carry over terrible rocks and boulders. In the end we abandoned this and went about 500 m north to the top of the triangle, where there was a lay-by and a short carry. From there it was a quick walk back to fetch the car. This landing/packing up process took the best part of an hour. 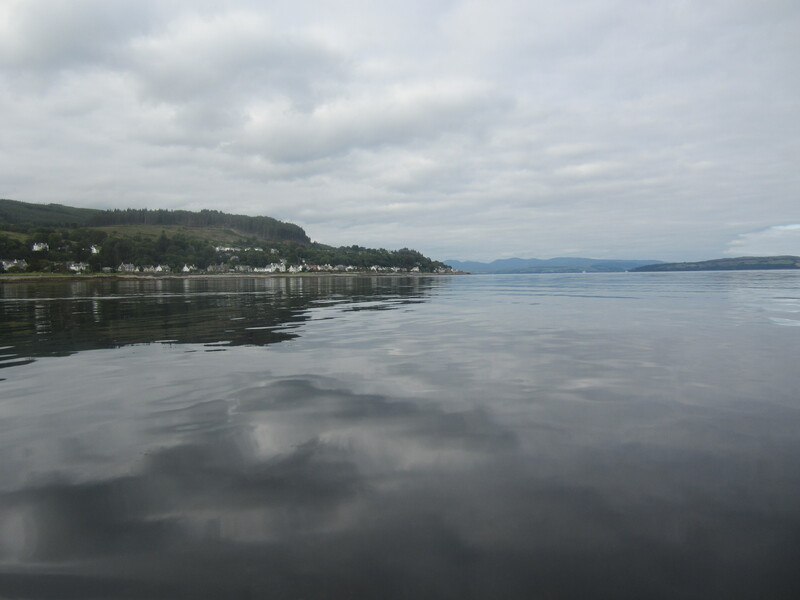 In summary this was a pleasant, if relatively unexciting, day paddle. We covered some 35km (20 miles) in around 5 hours; the normal relaxed 3.5-4knots. Worth recording? ?